Do you dream about words? I do. A lot! I find most of my conscious dreaming occurs early in the morning, often an hour or two before the alarm clock is scheduled to ring. More often than not I’m semi-conscious and fully aware I’m experiencing a dream. That’s when the fun begins! If I’m being attacked by creatures, I’ll simply levitate from danger or conjure a video-game style blast that propels from my palms toward the target. Or, if it’s a more mundane dream, I’ll take crazy risks I would never do in real life, like offering marriage proposals to perfect strangers or asking my friends uncomfortable questions. I find when I take charge of my dreams, the video-clip playing in my brain freezes for an instant–the characters stumble–and then begin to follow my in-line script edits. Aside from ordinary scenario-based dreams, the past few months words and sentences have appeared more frequently in my dreams. For example, I’ll be facing a sign or holding a note, and I’ll have the feeling of what it is I’m looking at. But then I’ll make it a point to focus on the word arrangement, and that’s where things turn to gibberish. In my dreams I can’t read words as easily as I do in real life. Instead, I’m forced to take a three-second pause between words to focus and comprehend. Literally, the vision shows a word coming into focus, and often it’s not the word I expected. Last night was different. I wrote a beautiful poem in my dreams – or so it seemed at the time. Having realized I was mid-dream, I carefully started to read and re-read the poem to determine whether or not the arrangement of words made sense. They did. The shape of the poem was beautiful. The meaning was beautiful. No edits were required. As expected, by the time I woke up this morning I couldn’t even remember the subject-matter or a keyword within the poem, which has me questioning whether the poem ever really existed to begin with! I like writing about dreams. Though I don’t keep a notebook by my bed, in the past I’ve had dreams so inspiring I’d actually climb out of bed and head to the computer to write down some key notes and feelings. I find just the act of spending a few conscious minutes thinking about the dream was enough to cement the story idea in my head. Have you experienced anything like this? How often are you inspired to write about dreams? Do you keep a notebook by your bed? Have you ever used it? Are you haunted by a past dream that you’ll eventually write? 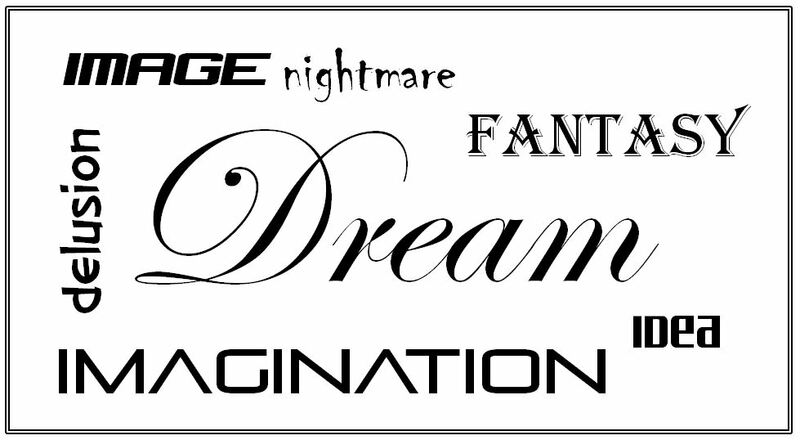 This entry was posted in Matt Robb and tagged delusion, dream, dream interpretation, fantasy, fiction, idea, imagination, nightmare, writing. Bookmark the permalink. I have the same problem with reading things in dreams. A word here and there is desciphorable but the rest is all out of sinc. I often imagine scenarios/plots and sort of daydream them before I go to sleep. I also listen to CDs of books and sometimes my plots and the plot of the book I am currently thinking about get jumbled – very interesting strangeness, especially as most of my own books are historical and the CD books are modern. One of my novels is based on a repetitive dream that a son has about his father. Its actually about his father’s yacht, where he meets one of his father’s friends, who tells him he needs to clear out his dad’s locker. Simon resists and as they are both standing on a floating jetty, they fall into the water, at which point Simon always wakes up. It was fun writing this novel, but it still needs a lot of revision. Matt, I was beginning to think I was the only one who had “adventure” dreams. None of my friends do – but then, only one of them is a writer. I do keep a notebook beside my bed and have used it on odd occasions. The dreams I most remember are nightmares and I usually know the real life events that provoke them. Still, I wake panting and frightened and hope I will forget it soon. I once dreamed that I sat on the carpeted floor of a cavernous room, eating grapes with hundreds of people. We were all present at a world wide peace treaty signing. I so wanted that one to be true. Last night’s dream: I’d been gifted with a large jar of creamy face moisturizer. Yes, it’s come down to this. From peace for the whole world to a wrinkle free face. I bet the newest dream will come to be as true as the one about the peace treaty. But that’s what books are for, right? To sleep, perchance to dream. It’s been 3 years since this post was written. I bumped into it while trying to make sense of words that came to me as I was dosing of last night. Usually I see images that have immense depth when I try to interpret them. They are rare, but vivid and happen when I’m half awake. I made a point of switching the light on and writing what I “read” this time, probably because I didn’t think I’d still remember the arrangement in the morning. I sleep at midnight everyday. That’s of course, not the best thing to do as we are told. However, the only time I get to myself and my thoughts without interruption is when the kids hit the sack. This pattern works for me, because I manage my work time. This also means that when I sleep, I sleep! I probably dream more than I notice, but because I’m totally beat when I go to bed, I most likely forget most dreams. Some refuse to get unnoticed, so they pop up whenever there’s a message I have to hear – asleep or awake! Do you take notice of yours?